This week is the one we’ve all been waiting for. 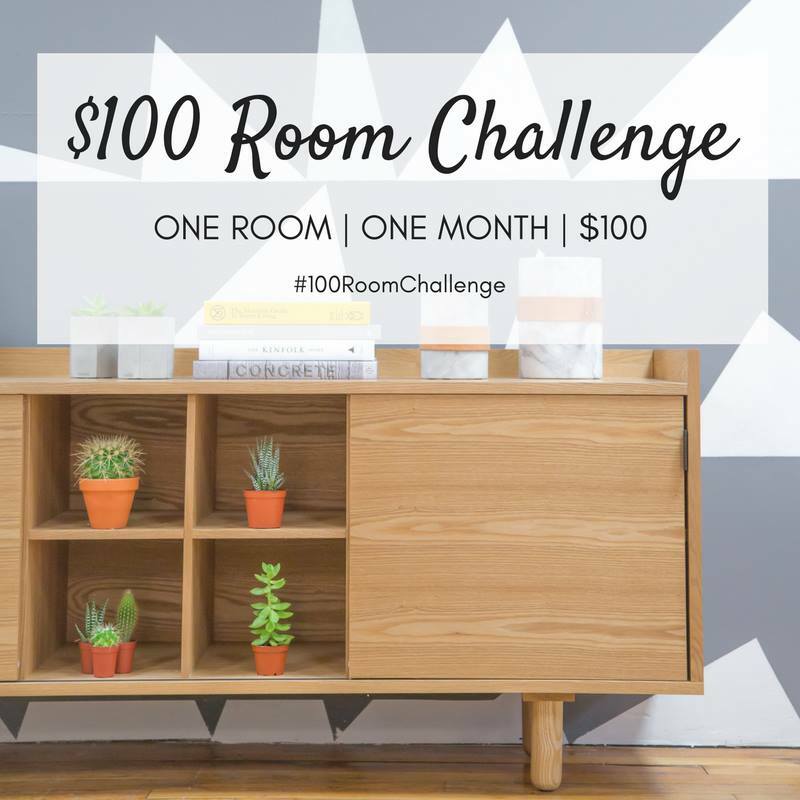 I’m so happy to finally be sharing the final reveal pics with you guys for the $100 Room Challenge. 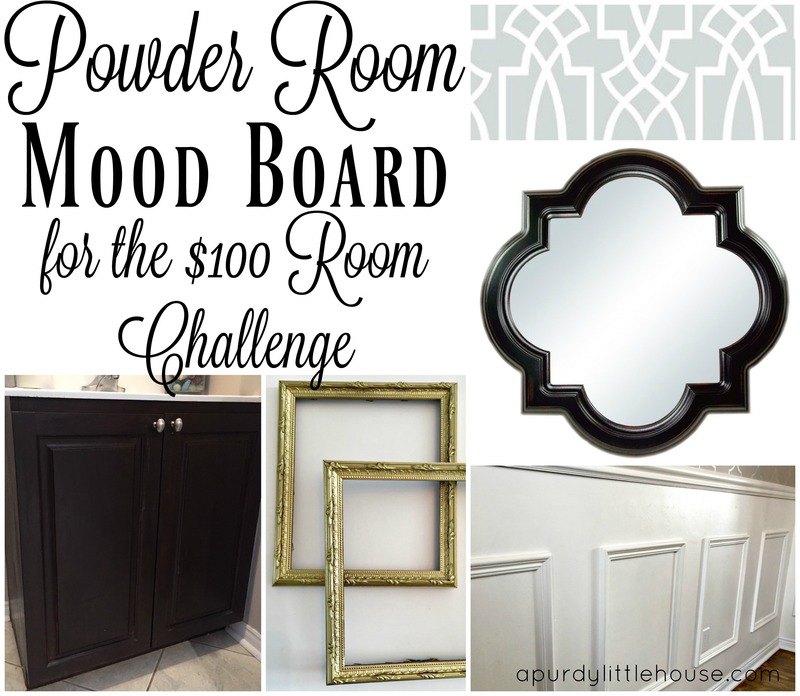 This awesome challenge forced me to completely transform a room in my home using only $100! 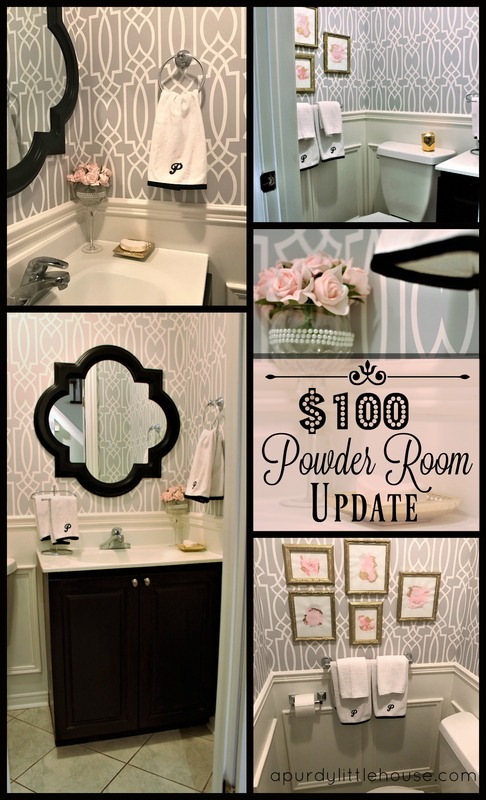 While I did go about $8 over budget, I’m still really happy with the end result of my Powder Room Update. Once again, let’s extend a huge THANK YOU to Erin from Lemons, Lavender & Laundry for hosting this fun challenge. Be sure to check out all the final reveal photos from my blogging friends at the bottom of this post. 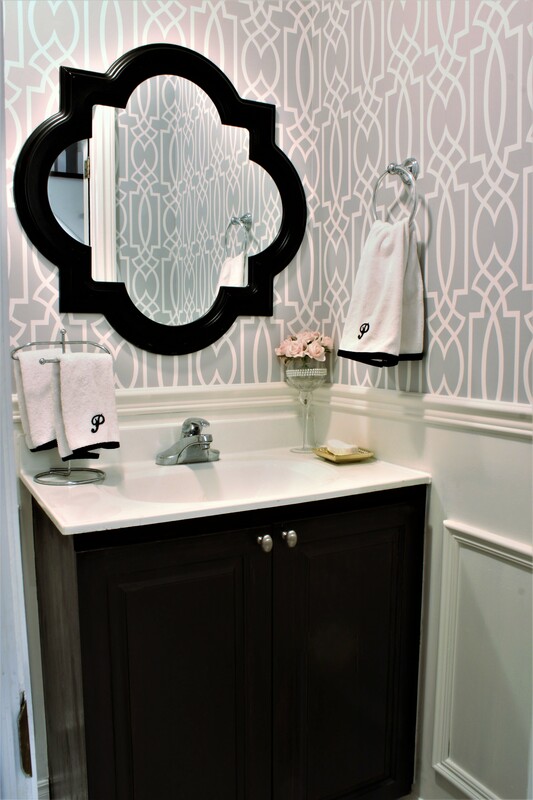 Now, the powder room is bright and fresh. The biggest impact by far is the wallpaper. I blew half my total budget on it, but I stand by my decision and I think it gives this tiny room some drama. 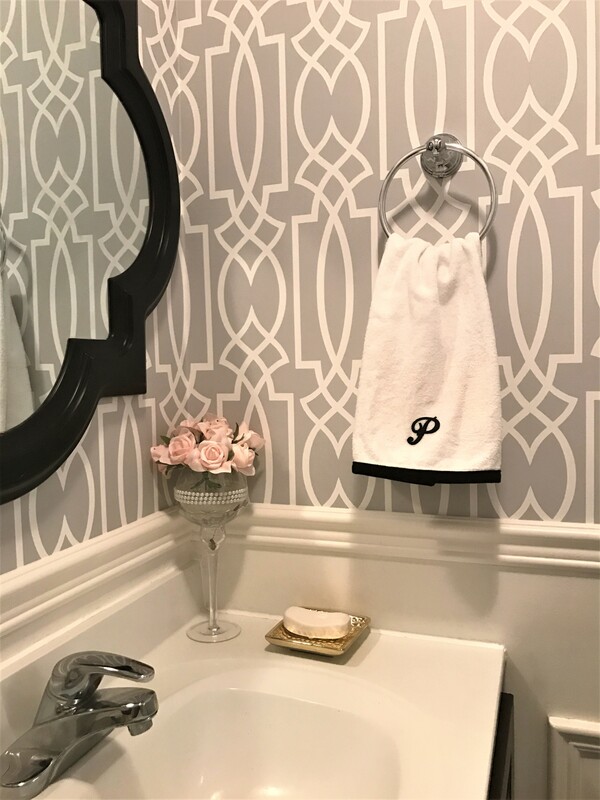 I figured that a powder room is the perfect place to go crazy with wallpaper, and it can have a personality all its own, since it’s separate from the main living spaces. I couldn’t afford art for this little gallery wall, and I’m glad I stepped out of my comfort zone and made some of my own. I think I might try something bigger next time, but I’ll probably just stick to painting watercolour blobs. They’re easy. I shopped my house for the accessories (since I didn’t have any moolah left in the budget). This gold “soap dish” is actually a candle holder for a pillar candle. I’m not really sure what my favourite thing about the space is, but I really do love the monogrammed towels. They are so fun and elegant. 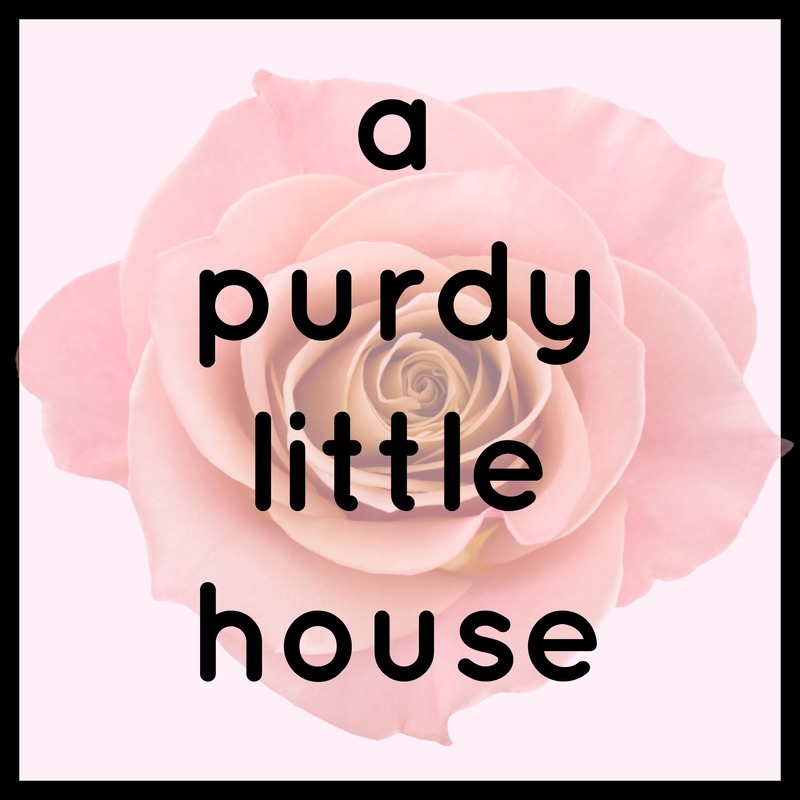 Thank you SO much for taking this little journey with me, and I know how sick you must be of my powder room by now, so I promise I won’t be posting anything more on it. But make sure to check out the AMAZING reveal photos from my blogging friends below. AHHHH!!! 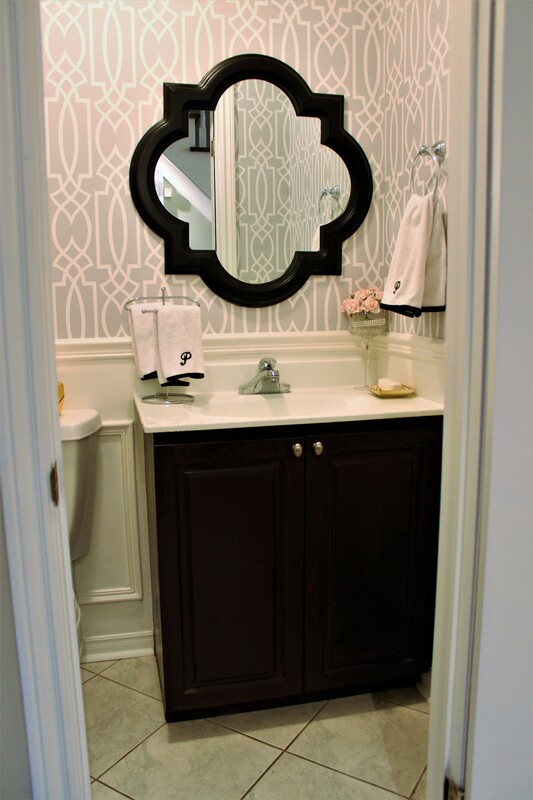 (That’s me, squealing with delight 🙂 ) This powder room turned out SO well. I think spending half your budget on wallpaper was the right call. It makes the space. I cannot believe how much you did this month! Beautiful job! Thanks so much for joining the challenge!!! It turned out so beautifully! That wallpaper and chair rail add so much design. I cant believe you did it for $100. Wow! What a huge transformation! It reminds me of a posh hotel now. I can’t believe it was all done for $100! This is stunning! 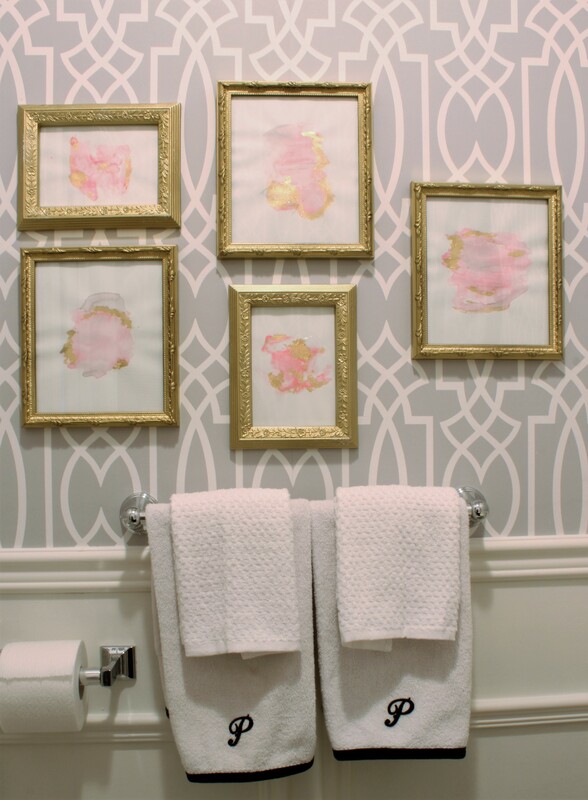 The wallpaper is perfect, and I absolutely love the gray with the pops of pink. Your DIY artwork looks great! I can’t believe you did this all on a $100 budget. Amazing! 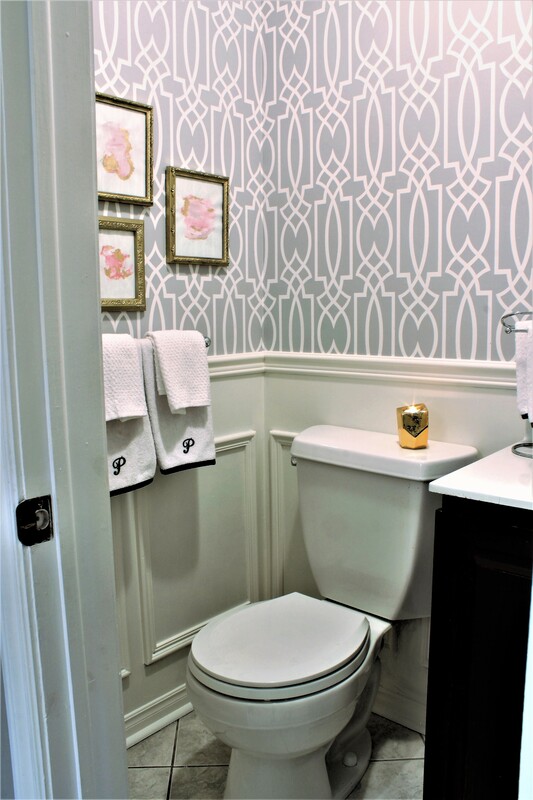 The wallpaper and wainscoting make it look so elegant! Beautiful! That wallpaper is AMAZING! I love how elegant the entire room is! I love your room so much! 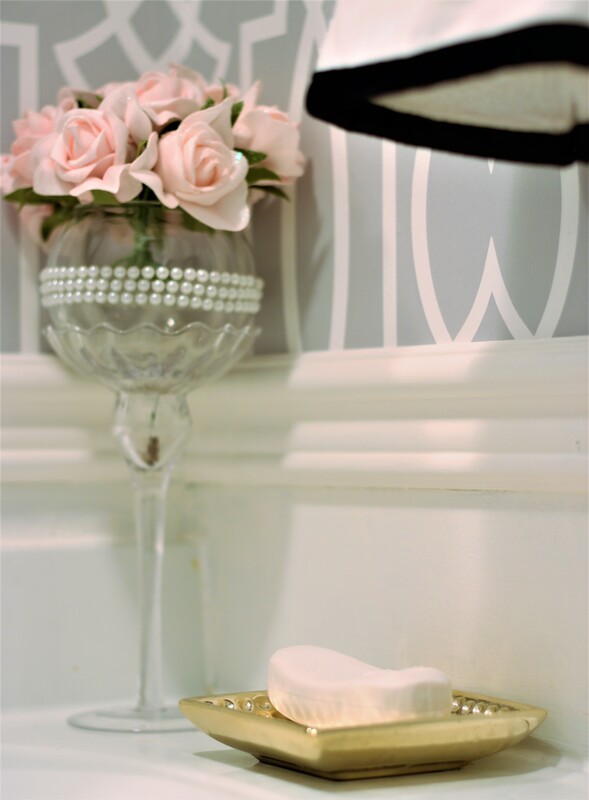 and the candle holder/soap dish is an amazing idea and fits perfectly! 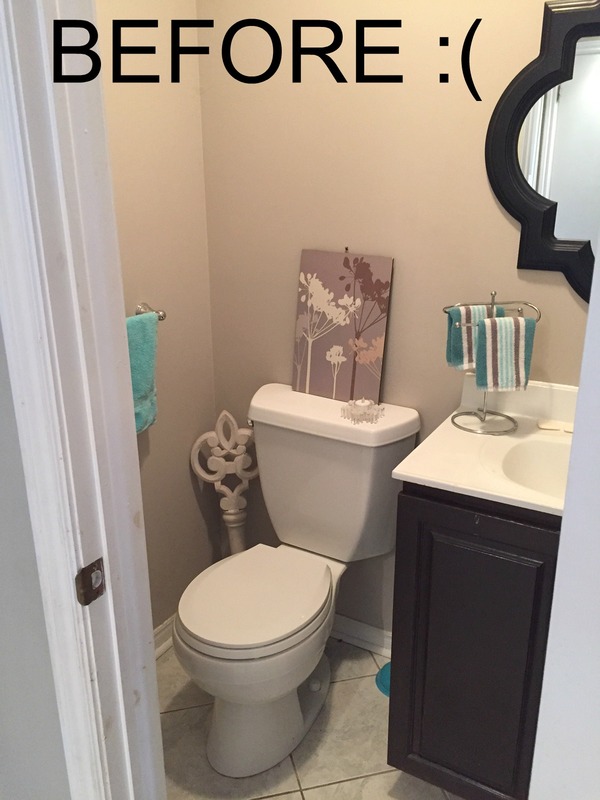 i love the color scheme you chose and still can’t get over the towels. so precious! 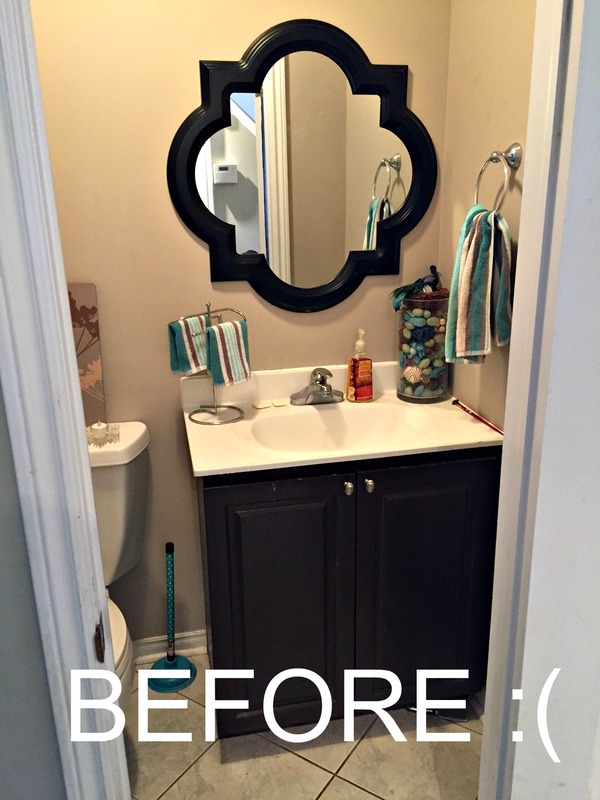 This bathroom makeover is fabulous and very high end looking. I love it! Nice job!!! I love this makeover so much! I figured it would cost more to wallpaper but that was such a smart choice and I love the pattern. The wainscoting is so beautiful. Great job! Cool wallpaper, you did a great job with this room!! Wow!! The wallpaper, chair rail and wainscoting totally transformed this room! It’s beautiful!